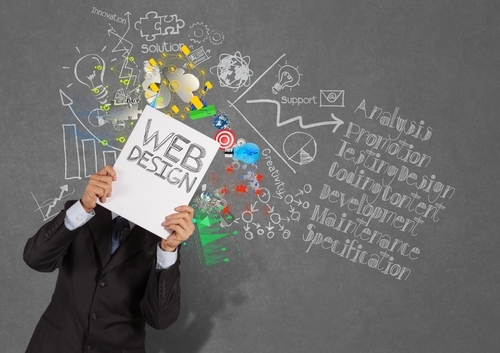 Websites are crucial to the success of a business. Whether business owners are looking for sites that allow consumers to purchase materials online or simply looking for pages to provide information about the company’s operations, these websites can make or break a reputation. Rand Fishkin, the founder of SEOmoz, explained the importance of creating and maintaining a functional, informational and interesting website. 1. Determine the function of the site. Website development programs allow for users to utilize a myriad of widgets and tools, including photo streams, shopping carts, live Twitter feeds and comment boxes. While these options seem exciting, owners should only use tools that will provide real benefits for visitors. A retail store may seek a website to show customers new arrivals and encourage online shopping, while a startup business may only want one to provide information for potential clients. Investing in too many widgets, boxes and applications could lead to an unattractive, cluttered website. 2. Integrate links to social media. Millions of people are active on social networking sites, so linking to a company’s profiles is a great way to get exposure and spread brand awareness. However, businesses should only link to sites that are regularly maintained, so as not to send potential consumers to dead profiles. Inc. Magazine explained that businesses that have linked to poor social sites may lose customer trust, as a company with few followers or limited activity may seem negligent. Owners should build their social profiles prior to connecting them, whether they’re garnering attention through promotional giveaways or regularly communicating with users. 3. Have a regularly updated blog. Similar to social networks, companies should only link to blogs that are rich with new content. Not only can these updated features spark interest among consumers and garner groups of followers, but they can also boost a site’s credibility. Business 2 Community recommended making the company site rich with search engine optimization content, or materials that cause search engines to place the site higher on a results page. Posts replete with keywords and meaningful content can make a website seem more credible, ensuring visitors that real humans are updating and looking for ways to make their industries better. Businesses are constantly keeping up-to-date with competitors’ marketing initiatives, new products and operational strategies. Websites should be no different. When seeking inspiration for a new site, companies should discover how their competitors have approached reaching their audience. Owners could examine which sites appear to work and which ones are seemingly weak. For example, a tech startup may examine the websites of larger corporations such as Apple and Microsoft to see how they display products, approach questions and distribute information. 5. Don’t be afraid to invest. Creating a new website from scratch can be daunting and expensive, but its usefulness cannot be denied. Business owners who do not understand the intricacies of website design should consider investing in freelance website designers or independent agencies that set up new pages. While this investment may cost a pretty penny, businesses will be happy with their decision later down the road, The Guardian explained. Companies may seek a contractor to build the site, then choose to maintain social media and blog content in their own walls. Either way, the business should decide whether it wants to build the site on its own – such as through websites like WordPress – or if it prefers the touch of an expert.